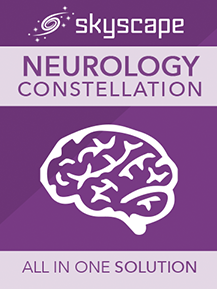 5-Minute Neurology Consult: A resource from the 5-Minute Consult series that focuses on neurological diseases and disorders, as well as key symptoms, signs, and tests. MobileDDx™ - Differential Diagnosis Tool: Choose to explore topics by organ system, symptoms or diseases only, or search across all topics. For example, if you wish to review the causes of a patient's chief complaint, simply select the symptom or sign from the main index. Dr. Drugs Drug Guide for Physicians: Delivers all of the information you need to administer medications safely across the lifespan—well-organized monographs for hundreds of generic and thousands of trade-name drugs. Skyscape Labs™: Specifically developed for use on mobile devices, with a consistent and intuitive format. Healthcare providers will be able to rapidly obtain a description of the test; understand its clinical utility; and see what a high or low value might mean. International Classification of Diseases, Tenth Revision, Clinical Modification: Based on the World Health Organization's Tenth Revision, International Classification of Diseases (ICD-10). ICD-10-CM is the official system of assigning codes to diagnoses and procedures associated with hospital utilization in the United States. Skyscape Clinical Calculator PLUS™: Medical Calculator that includes tools such as peak flow, narcotic equivalence, pregnancy dating, syncope rules, over 200 preprogrammed formulas, rules and scoring systems. MedBeats - Skyscape Medical Alerts: Service that delivers in-context and specialty focused journal summaries, trial results, breaking clinical news, drug alerts and information right to your mobile device. Excellent customer Service - An asset to your company. I wish all the companies had this kind of efficient service.